THEY'RE meant to make the beachside town of Seaforth feel like a tropical paradise, but coconut trees have plunged this small community into a heated debate. Coconut palms lining the foreshore at Seaforth are once again a source of conflict as new trees are planted in public areas - against the wishes of Mackay Regional Council. Since 2011 the iconic coastal plants have been deemed a weed species by the council in their Seaforth Coastal Plan, although after the community rallied in favour of the trees, they agreed to amend it. 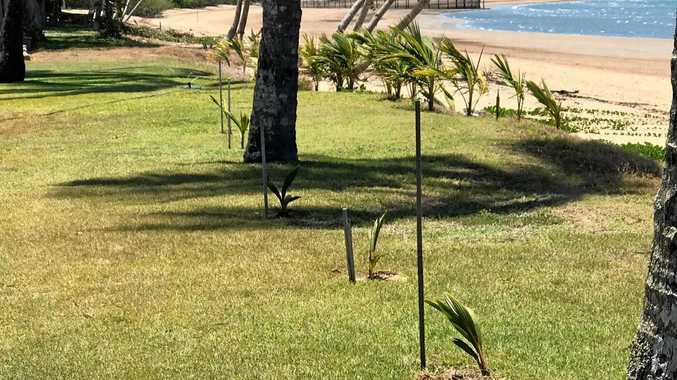 Mackay Regional Council parks, environment and sustainability manager Richard Brown said while "some community members may value coconuts for their aesthetic appeal... juvenile coconuts, including those planted at the southern end of the beach at Seaforth, will be removed by council". 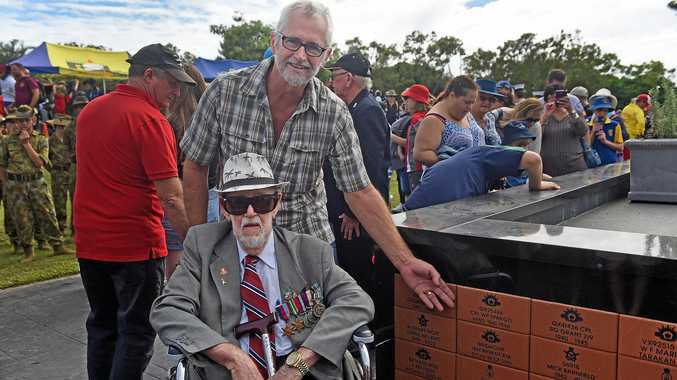 Mr Brown said council had offered Seaforth residents free local native plants in the past as an alternative to coconuts to assist with erosion and provide habitat, shade and amenity. He said council maintained adult coconuts in recreational and parkland areas. However, Seaforth resident Jacqueline Kelly said residents were "fixated on coconuts" and were ignoring council rules by continuing to plant their own coconuts in public areas. Ms Kelly claimed she had been harassed and threatened when she approached those responsible for the new plantings. "They just think they're a law unto themselves," she said. The tension had reached a point where Ms Kelly said, "It's really ramping up to a big battle now. It's just me against these people... "
Ms Kelly has approached the Daily Mercury in the past in relation to coconut replanting. In 2017, after Cyclone Debbie she said about 100 coconut seedlings appeared on the beach after several adult palms had been felled by the storm.